$1,500 OFF – High-efficiency 96% AFUE furnace and 16-SEER AC package. $1,000 OFF – a New Rooftop Commercial HVAC Unit. $500 OFF – a New Ductless Air Conditioner or Heat Pump. Up to $975 rebates from energy companies and up to $600 rebates from Carrier. The most reliable and affordable forced-air home-heating products. 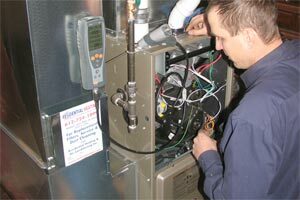 Affordable, fast repair services for all furnace brands in the Twin Cities. Affordable rooftop gas heating and air conditioning for commercial properties. The most dependable commercial heating repair and maintenance services. The one thing that’s certain about living in Minnesota is our frigid winters. Whether you own a residential home or a commercial building, reliable heating is critical. Your choice of the equipment and your choice of the HVAC company that supplies, installs and services the equipment will have a direct impact on its performance and cost. As the most trusted Minnesota residential and commercial HVAC contractor, we want to help you understand the many factors that go into your decisions when it comes to the purchase, installation and maintenance. We want to assist you in making the right decisions that match your requirements and budget, along with introducing you to our company, which has been helping residential and commercial customers in Minneapolis St. Paul for over two decades with the highest satisfaction rate. Calculating the cost of a new furnace for your home requires looking at a number of factors. The brand, plus its size and efficiency rating, are some of the considerations that affect cost. Installation costs and the exact model are also part of the equation. Installation, too, adds to the total price you’ll pay. Our experienced representatives will go over all of these issues with you and give you objective information to help you make a selection that is right for your home and for your budget, too. We don’t use high-pressure sales tactics. It’s your decision to make. How Much Does a Rooftop HVAC System Cost? 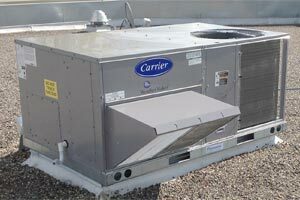 When our commercial HVAC specialists provide a price quote for a new or replacement rooftop heating and cooling system, we consider several factors and offer our customers a range of prices for the system they need. Many factors are involved in these price quotes, including system capacity, manufacturers’ wholesale pricing and installation costs. We’re always happy to evaluate your needs and provide all-inclusive competitive estimates to our commercial customers. How Do I Choose the Size of My Heating Equipment? The right furnace will neither be too large or too small for your home or commercial building. Choosing HVAC systems that will do the job without being overworked or being idle too much of the time means big savings. It takes experience and expertise to size the equipment to fit your property. What Efficiency Rating Should I Choose? The more efficient your furnace is, the lower your energy costs over its lifetime. A cheap, inefficient product will end up costing far more in the long run by burning more fuel, while having a much higher environmental impact. Modern technology has been boosting energy efficiency during the past 10 years. We will help you choose the right efficiency for your requirements and price range. Which Manufacturer Offers the Best Warranty? The longer your system lasts, the lower your total cost of ownership. Factory warranties are a good guide to life expectancy. 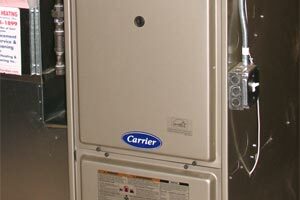 Well-engineered residential gas furnaces and commercial rooftop HVAC units by Carrier, Goodman and Lennox are known for their solid long-lasting performance. Which Brand Has the Best Reliability Rating? An unreliable product costs plenty in repairs and downtime. In the middle of winter, an equipment breakdown can force your family out of your home or a failed commercial HVAC unit can close down your business. We supply the highest quality products from Carrier, Goodman, Lennox and LG to give you the peace of mind. Does My New Furnace Work with My Central Air Conditioner? Heating is just part of most residential and commercial comfort systems. The system you choose should be compatible with air conditioning and humidity control systems in order to achieve high levels of comfort. Very often, a furnace that costs more isn’t necessarily a better fit. We will be glad to present options that factor in price, efficiency, and reliability. We always offer honest price quotes with absolutely no hidden charges. We give you the information you need and let you decide what suits you the best. As an award-winning Minnesota residential and commercial heating contractor, we strive to create the highest level of comfort for your home or commercial property. Our expert consultants have long experience in specifying heating and cooling systems for all kinds of needs. Our 25+ years of helping the Twin Cities community gives us the deep knowledge of the wide range of needs of Minnesota homeowners. 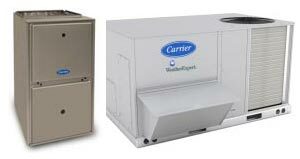 We supply, install, and maintain furnaces from only the best manufacturers, like Carrier, Lennox, Goodman and Reznor. We’re fully licensed and insured and have an outstanding reputation, earned by serving over 35,000 satisfied residential and commercial customers in the Twin Cities. Our service technicians are constantly undergoing factory training and we maintain an extensive parts inventory. We’re ready to handle any repair or service job, day or night. Our company is a Factory Authorized Carrier Dealer. What that means to you, our customers, is that we have qualified for that distinction through performance. Factory training for sales staff and technicians is just part of earning that status. We’re proud of this accomplishment, and know that it is our assurance to our customers of top-notch products, installation, maintenance, and customer service. We also offer low-rates financing options provided by Carrier. Whether you need a completely new furnace or a replacement for your old octopus gravity furnace, contact us today for a free consultation. Let us show you how we can help you achieve your goals for economical, reliable heat and air conditioning for your home or commercial building.